A hospital consultant has apologised to the family of a 53-year-old man who died from lung cancer in 2011 after a failure to carry out procedures and tests which would have led to an earlier diagnosis. The High Court action was brought by Rosarii Molloy Curran arising out of the death of her husband John Curran from lung cancer in April 2011. Ms Curran settled her action against Wexford based consultant Dr Colm Quigley for €60,000. Dr Quigley is a former president of the Irish Hospital Consultants Association. In her action, Ms Curran of Carrigmannon, Killurin, Co Wexford sought damages for the distress she suffered as a result of her husband's death. 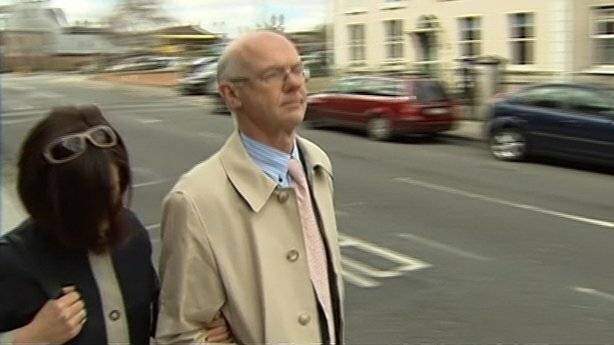 The court was told that Mr Curran had been referred to Dr Colm Quigley in 2009 and a number of investigations were carried out indicating low sodium levels. However, there was a failure to follow up on those tests, including a failure to ensure a bronchoscopy was carried out. Mr Curran was again referred to Dr Quigley in December 2010 but there was no further follow up. He was treated in the meantime at Waterford Regional Hospital for another condition. In March 2011 he was admitted to St Vincent's Hospital and had his leg amputated due to vascular disease and while there he was diagnosed with lung cancer and died a month later. In an apology read in court, Dr Quigley said he wished to apologise to the family of Mr Curran in relation to the failure to perform and follow up on investigations proposed in 2009 and 2010. He said as a result of a subsequent review a number of system changes were implemented to prevent it happening again and an integrated patient management system had been put in place. Dr Quigley said he would again extend his sympathy to Ms Curran and her family on the death of her husband. 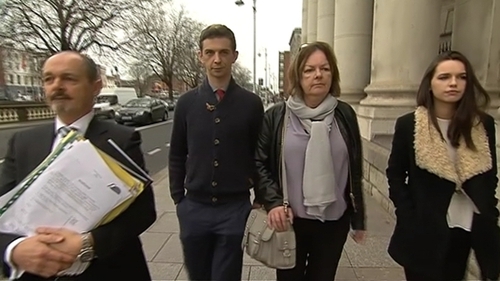 Dr Ciaran Craven SC for the family told Mr Justice Kevin Cross the issue for the family was that Mr Curran might have been able to plan his last few years and his quality of life could have been managed if he had had an earlier diagnosis. Dr Craven agreed with Mr Justice Cross that it was not the case that a different end result may have been achieved. In a statement released afterwards the family said they welcomed today's settlement and hoped it would lead to the introduction of fail-safe protocols for patients awaiting vital tests. The family solicitor Dermot McNamara said it had been a long and harrowing ordeal for the family. He said the necessary tests were not carried out despite the assurances of Dr Quigley that they would be. He said the events led to a finding of poor professional performance against Dr Quigley by the Medical Council for failing to arrange the tests, failing to recognise the tests had not been carried out and failing to have any adequate system in place for tracking or monitoring tests. "In this case there was no system in place for the follow up of investigations proposed to be carried out on Mr Curran," Mr McNamara said. He added: “When tests are carried out on a patient there should be clear and visible pathway to alert their clinician that the test has not been carried out. "The family would urge anyone who has concerns about their treatment or the treatment of a loved one to ensure that their concerns are investigated and addressed."